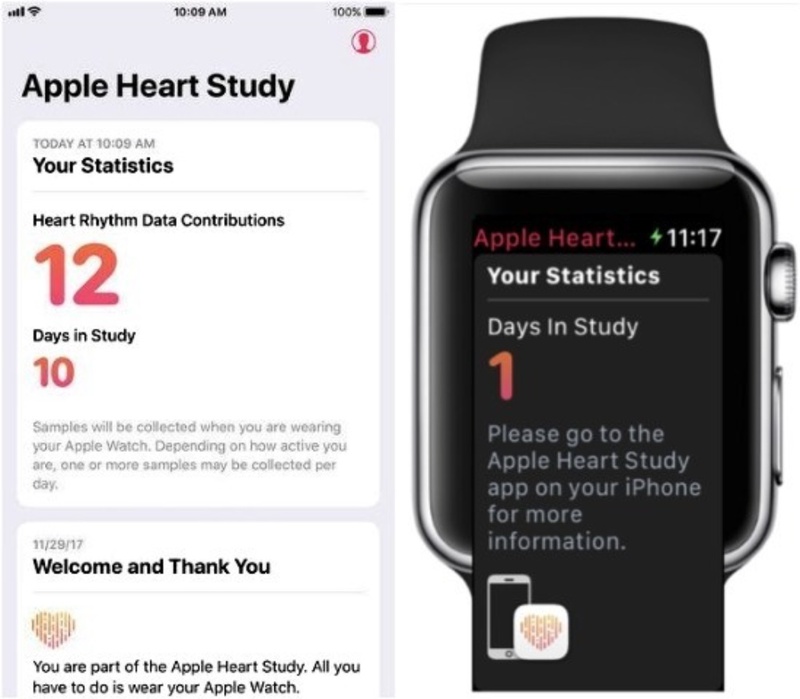 Researchers at Stanford University's School of Medicine have completed enrollment of a large-scale study using the Apple Watch to determine whether a wearable technology can identify atrial fibrillation. The study rationale and design, published in the American Heart Journal, describes the design of this unique clinical trial, the largest screening study on atrial fibrillation ever done. The results of the study, which has enrolled over 400,000 participants, will provide initial evidence of the smartwatch's ability to identify pulse irregularity that may be consistent with previously unknown atrial fibrillation, or atrial flutter (collectively known as AF). "The advantage of the app that uses the optical sensor is that it can check for an irregular pulse multiple times throughout the day in the background, without needing the user to actively engage the application," says Marco Perez, assistant professor of Cardiovascular Medicine at Stanford and one of the principal investigators of the study. With a strong demand for health-centric devices, using smart phones, watches and other "wearables" has become a routine experience for many Americans, with over 75% of the population owning a smartphone. The ability of a smartwatch to potentially identify an arrhythmia, which is when the heart beats too slowly, too fast, or in an irregular way, is of significant public health interest: AF affects between three and six million people in the United States. If left undiagnosed or untreated, AF can lead to the development of heart failure or other complications, including stroke. It is estimated that 700,000 people in the United States may have previously unknown atrial fibrillation. 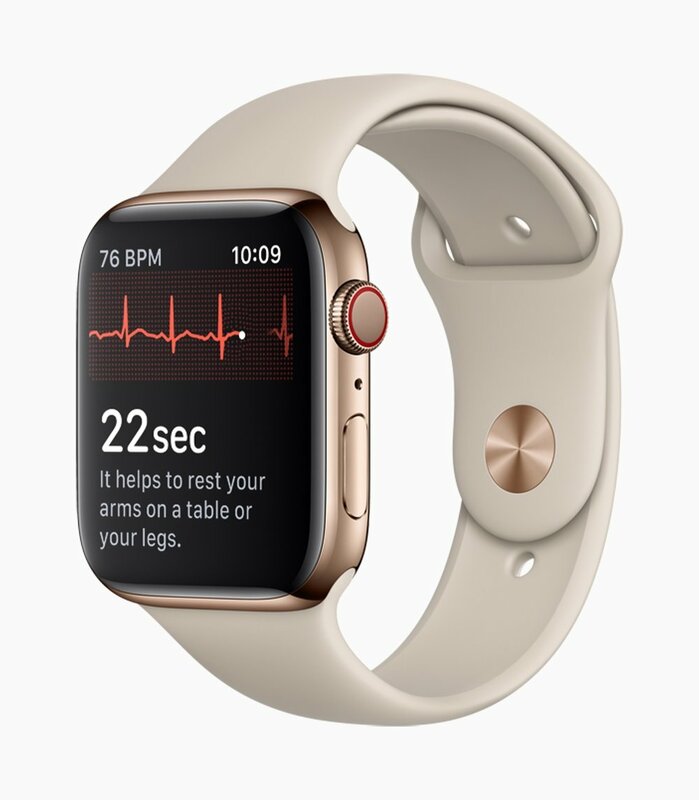 The Apple Heart Study aims to understand whether wearable technology can identify irregular heart rhythms suggestive of AF by analyzing pulse-rate data from the optical sensor on the Apple Watch. To determine the pulse reading, the smartwatch uses LED lights and light-sensitive photodiodes to measure the changes in the volume of blood flow passing through the user's wrist to generate a photoplethysmogram that is used to estimate the pulse. The intervals are then used to create a tachogram (pulse rate over time), which can be used to measure pulse irregularity that may signify AF. If AF is suspected, participants are alerted through a notification system on the Apple Watch and the Apple Heart app. Following an irregular pulse notification, study participants proceed to a telehealth video visits with a study doctor — all through the app — and receive an ECG monitoring patch to be worn to confirm the diagnosis of AF. In the event of urgent symptoms (such as chest pain, or shortness of breath), participants were directed to their local urgent care or emergency room facility for medical evaluation. The nation-wide implementation of this study gave participants access to medical attention if needed, helping ensure participant safety. The study will determine how many participants in the study who receive irregular pulse notifications are found to have atrial fibrillation, determine how many among those who received an irregular pulse notification go on to get medical attention, and determine the accuracy of irregular pulse-detection on the watch. The study has entered the final phase of data collection and will be completed early next year.